I've already used this photo in another meme so forgive me for using it again. I didn't have time to take new pictures this week. The ingredients in this drink sound very yummy. I've never had something like this before. Strawberry and banana smoothie is my all time favorite. mmmm, THAT looks really refreshing. where can i get one? That's a really good "Q" for today. I seem to never think outside the box. On behalf of the ABC Wed. team, thanks for participating. I hope that is as thirst-QUENCHING as the name suggests! Mmm, that looks really nice! Looks wonderful! 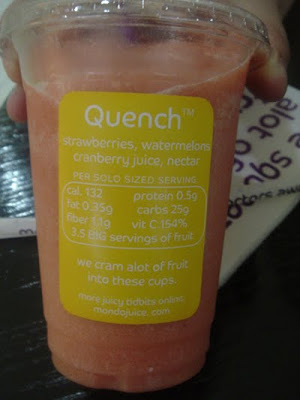 I would love a quencher right now!